Cheap Superhero Poppers - 12 Ct. Send these superhero poppers to the rescue! Simply invert these poppers and turn them loose; they'll jump sky high for more playtime entertainment! 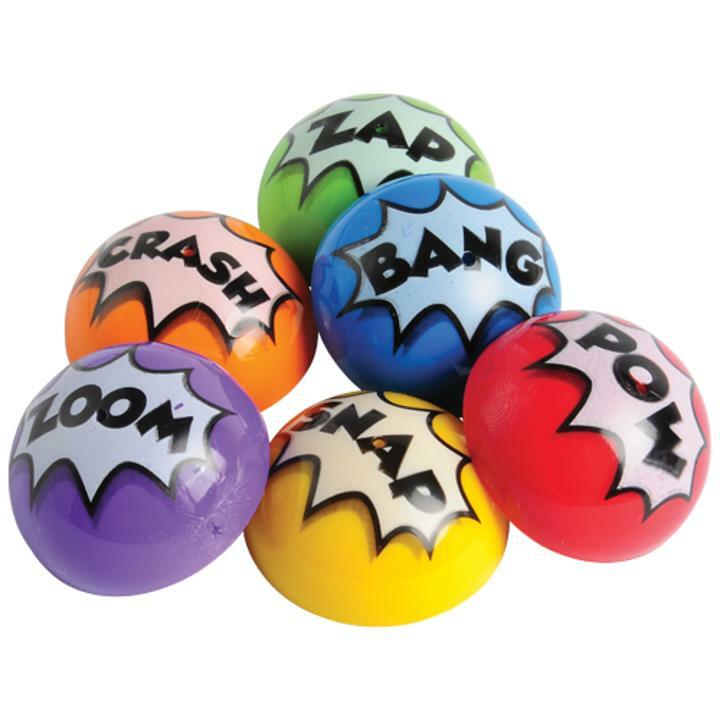 Each popper is adorned with a popular comic book action word, making them great party favors for superhero-themed parties. L: 7.0 in. W: 1.6 in. H: 6.1 in.